I think almost everyone that lives on the island knows that along Eko Hotel street in Victoria Island (VI) there are a lot of one way roads. 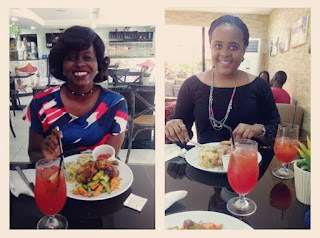 Last weekend, I and my friend (Irene) went to lunch after a meeting at Eko Hotel (Toastmasters club meeting, not a member, Irene invited me). We chose to have lunch at Araba nights restaurant which is just on the street opposite the exit gate of Eko Hotel, but as I am a new driver and not very familiar with VI streets, we asked people how to get to the place since I knew that particular street was one way. We were shown a street along that Eko Hotel main street that would take us there. We entered the street. 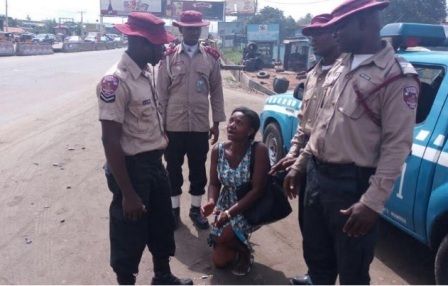 Getting to the end of the street, we turned left to get us to the Araba nights street, but unknowingly to us, that was a one way road and that's how we were blocked by LASTMA abi FRSC officers in their car *scratches head* 😋😋😌🙈. As they stopped us and told us we just entered a one way street blah blah........the rest is history (not the focus of this post). Anyway, the officers finally gave us the direction to get to the restaurant. On our way there, I and my friend were just discussing how if there was a road sign to indicate a one way street ahead, then we won't have been in that situation. I live in Lagos, doesn't mean I know all the rules and regulations regarding each streets in Eko (Lagos).There's no manual for that, right? Roads signs should be placed along the streets in that Eko Hotel area, and not only this place but other places that need road signs, for example, the no u-turn sign, so people don't break the law. There are some people that are thick headed and just love to do the wrong thing, but if there are road signs that are clearly visible, then the driver should face the consequences of breaking the law. I hope next time I find myself in such a place (i.e. One way roads), I won't have to blame anybody but myself. P.S: Irene and I had a lovely lunch after that drama. Meanwhile, in my head, I was doing Sherlock Holmes, trying to figure out how we were caught so fast and I think the officers are stationed there because of those law breakers, looking for fast routes.